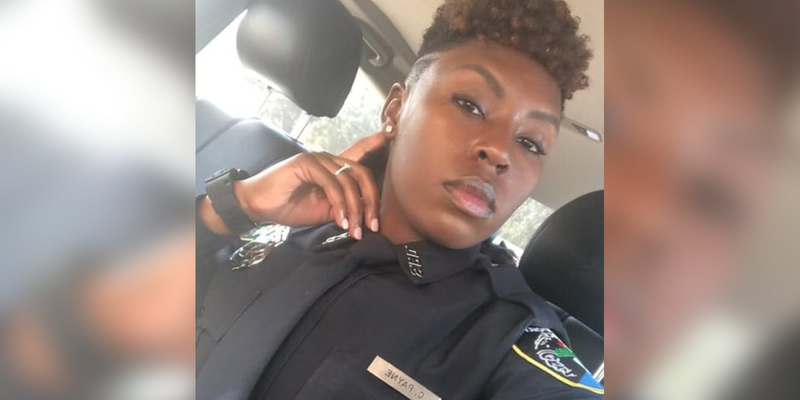 SHREVEPORT, LA (KSLA) - Shreveport Police Chief Ben Raymond and the rest of the department lost one of their own — Officer Chatéri Payne, last week. "A young lady, a young mother, a young daughter, a young officer in the prime of her life was killed in a senseless act of violence," said Raymond. But now nearly a week later, arrests have finally been made. Tuesday night, Shreveport police arrested 26-year-old Treveon Anderson, 22-year-old Lawrence Pierre II, and 38 year old Glenn Frierson charging them with second degree murder in connection with Payne’s death. Chief Raymond spoke at a news conference Wednesday morning unveiling new details in this tragic case. “Treveon Anderson, the boyfriend of Chatéri Payne and father of their young child was present when the shooting occurred,” said Raymond. According to Chief Raymond the night of the shooting, Anderson told police he was inside the home he shared with Payne on Midway Avenue when he heard gunshots. He went outside and began shooting at a person wearing all black. Anderson was brought in for questioning but released later on that night. Police continued to investigate and recovered evidence that Chief Raymond says shows that Anderson made everything up and was the person who shot and killed Payne. KSLA Investigates also obtained affidavits from Shreveport Police breaking down what happened that night. Pierre and Anderson are cousins and in the arrest records, Pierre admitted to police he was there during the murder and witnessed Anderson shoot Payne multiple times. Pierre also led investigators to the home with the hidden weapon allegedly used in the murder. The affidavits also reveal Frierson was with Pierre and Anderson during the murder and left with them after. Chief Raymond says investigators felt charging all three men with second degree murder was the appropriate charge at this time, but the district attorney's office does have the option to upgrade those charges. The investigation is still on going at this time.